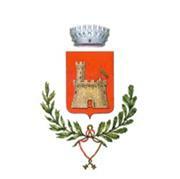 ANCIENT “FIERA FRANCA DI CITTADELLA” Don’t miss out on this traditional event to savour the customs of Cittadella. Wine and food, amusement, local handicraft, parapet walk open by night, funfair for kids The “Fiera Franca di Cittadella” is one of the most important yearly events in Cittadella and takes place on the fourth weekend of October including the following Monday. It always lasts three days and during these days thousands and thousands of visitors from the entire Province come to Cittadella. There are stalls selling local fresh products, local handicraft and lots of stands selling food and wine all around the old town. In the marquee every evening a different menu with traditional venetian dishes can be enjoyed. Next to the sports facilities there is a funfair for children and not only. Saturday night the parapet walk stays open until 11 p.m. for a unique and memorable experience. To top off the event on the last evening a light show is put up on the ramparts accompanied by music and fireworks. Its magic attracts not only visitors and tourists, but also the citizens don't want to miss out on the “setting on fire” of the walls. The fair has ancient origins. It dates back to 1231 when Padua decided to pass on the privileges of the market from the nearby Onara to Cittadella. Venice, during the time of its dominion, acknowledged these privileges as well by publicising that there would be no duties to pay for anyone entering or leaving the fair. With a special proclamation in 1593 different goods were assigned to specific areas of the old town, that is to say that in each area of the old town specific animals or agricultural products were to be sold. Antique livestock market next to the Austro-Hungarian cemetery starting at 6 a.m.
Fireworks and “setting on fire of the wall” next to the eastern gate, Porta Treviso, at 9.30 p.m.
You are invited to visit Cittadella, a splendid medieval walled town near important centers of art such as Padova, Vicenza, Treviso. Cittadella shares its Venitian historical background with other walled towns like Bassano del Grappa, Marostica, Asolo and Castelfranco Veneto. The foundation of Cittadella dates back to 1220, when Padova decided to found “ex novo” a fortified castle in the central area of the Venetian plain in order to protect the boundary lines of its countryside from the aggression of Treviso and Vicenza, and also to control the local Lords and to start a policy of agricultural colonisation. control of the Longobards, even if sources from the Early Middle Age are limited. Most probably a general depopulation was occurring then and the environment grew wild, while other feudal powers developed around small towns like Onara, Fontaniva, Tombolo, and Galliera.Between the 12th and 13th centuries the municipal territory of Padova started a vigorous expansionist policy and clashed therefore with Treviso and Vicenza. The area of the middle Brenta became a theatre for wars and the emergence of Cittadella must be seen in this context. 1406, just like all the Venetian mainland, Cittadella passed under the political dominion of Venice that sent its podestà (governor). The Serenissima (Venice) ruled over these lands until 1797, when Napoleon, during his Italian campaign, conquered all the north. After the treaty of Vienna (1815), Veneto submitted to Austria until 1866, when it finally entered the united“Regno d’Italia” (italian kingdom). Nowadays Cittadella belongs to the province of Padova, counts about 20,000 inhabitants and encompasses on a territory of about 36 km².